The Amateur Field Trial Clubs of America (AFTCA) is a grass roots organization made up of approximately four hundred clubs across North America and Japan and more than a thousand individual members and growing rapidly. The organization is divided into 18 Regions to reflect the vastly different upland geographics that exist across North America. Local Clubs represent the heart of this organization. 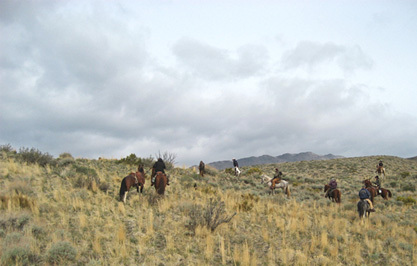 Clubs exist to gather individual members into a focused local organization to promote Field Trials and the preservation and restoration of upland habitat in their respective regions. 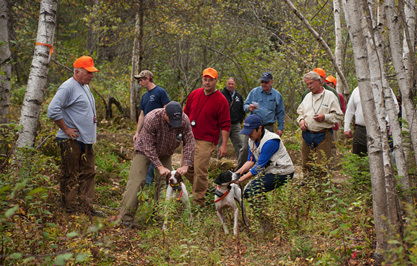 Most clubs are made up of members who live in the same community and who host a few field trials each year. Clubs may also sponsor clinics, fun runs, seminars, banquets, and just fun gatherings of likeminded enthusiasts. One of the primary objectives of the AFTCA is to provide numerous opportunities for amateur handlers to compete in quality events hosted by these clubs. Today all field trial events are one of two types; Open Events (professional and amateurs can participate) and Amateur Events (only amateurs can participate), but it wasn’t always that way. Almost 100 years ago it became clear that although amateurs made up a majority portion of the Field Trial fraternity, they had little opportunity to compete on equal terms with professional handlers whose full-time occupation was the development and handling of a full string of bird dogs. So started the AFTCA made up of member likeminded clubs who hosted field trial events that for the first time were limited to only amateur handlers. Prior to this change amateur participation in field trials was either paying a professional to handle their dogs in competition or putting on the field trial event for professional handlers and their string of dogs. With this change amateur participation in handling their dogs in field trials exploded, benefitting the field trial game at large. A game that was limited to professional competitors and the wealthy suddenly became a passionate pastime for everyday folks and families looking for healthy outdoor activities. The AFTCA awards over 2,000 winner certificates from more than 1,200 amateur stakes annually to individual members from hundreds of events hosted by member clubs all across North America and Japan. Besides sponsoring hundreds of Amateur stakes all across the country, the AFTCA sanctions 57 Regional Championship events for both horseback and walking handlers. 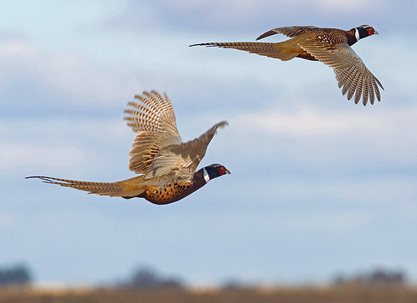 In addition, the organization hosts 15 annual National Championships held on various species of upland birds on magnificent venues, many rotating around the 18 regions. As a group, amateur successes have had a significant positive impact on bird dog competition as a whole, including the breeding and bloodlines of pointing dogs, the evolution of methods used to develop birddog performance and improvements in animal husbandry and upland bird management. Getting involved is as easy as looking up a club near you on our club page, joining them and joining the AFTCA as an individual member. 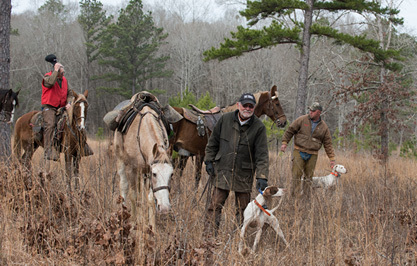 Welcome to the world of upland birds and outstanding birddogs!